"For Study for Inner Improvement (1977), a sequence of photographs in which Almeida looks like she is eating blue paint. 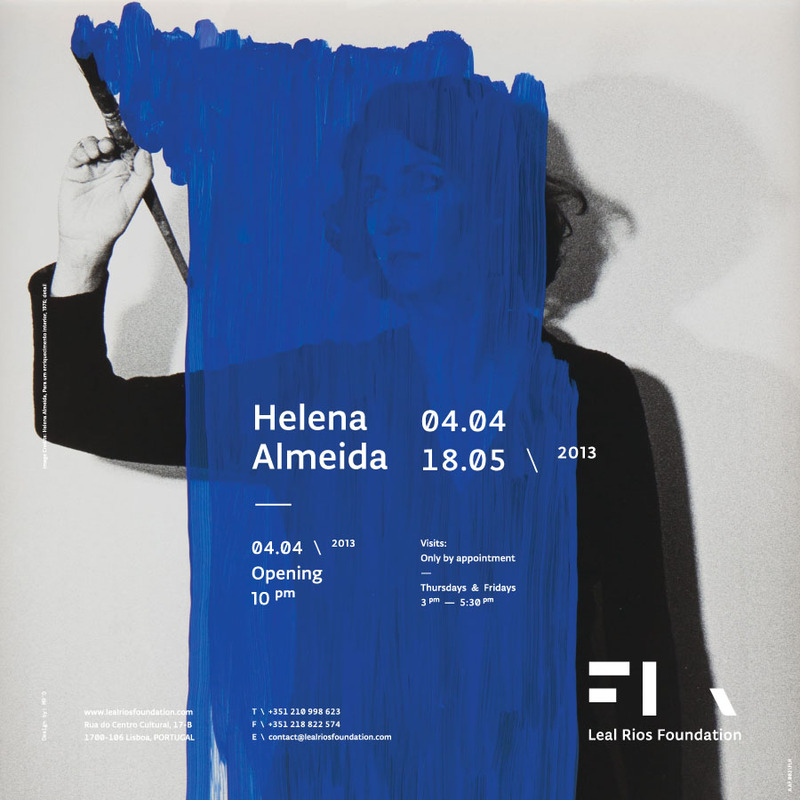 There is no question that the colour she is consuming is very similar to that of Yves Klein. 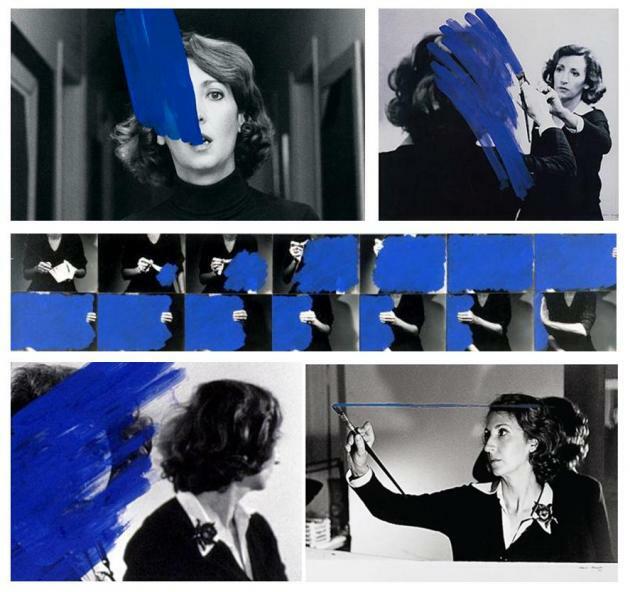 She had in the past protested at Klein's use of women as objects in his artworks. At the time of making Study for Inner Improvement, the concept of anthropophagy (cultural cannibalism, the idea of consuming other cultures as a way of asserting independence) was a popular ideology. Almeida's chewing up of Klein's blue, a colour he had come to dominate, was a liberating act for women and artists everywhere." "Interpretation in our own time, however, is even more complex. For the contemporary zeal for the project of interpretation is often prompted not by piety toward the troublesome text (which may conceal an aggression), but by an open aggressiveness, an overt contempt for appearances. The old style of interpretation was insistent, but respectful; it erected another meaning on top of the literal one. The modern style of interpretation excavates, and as it excavates, destroys; it digs 'behind' the text, to find a sub–text which is the true one. The most celebrated and influential modern doctrines, those of Marx and Freud, actually amount to elaborate systems of hermeneutics, aggressive and impious theories of interpretation. All observable phenomena are bracketed, in Freud's phrase, as manifest content. This manifest content must be probed and pushed aside to find the true meaning –the latent content –beneath. For Marx, social events like revolutions and wars; for Freud, the events of individual lives (like neurotic symptoms and slips of the tongue) as well as texts (like a dream or a work of art) –all are treated as occasions for interpretation. According to Marx and Freud, these events only seem to be intelligible. Actually, they have no meaning without interpretation. To understand is to interpret. And to interpret is to restate the phenomenon, in effect to find an equivalent for it. Thus, interpretation is not (as most people assume) an absolute value, a gesture of mind situated in some timeless realm of capabilities. Interpretation must itself be evaluated, within a historical view of human consciousness. In some cultural contexts, interpretation is a liberating act. It is a means of revising, of transvaluing, of escaping the dead past. In other cultural contexts, it is reactionary, impertinent, cowardly, stifling." Susan Sontag (1966). "Against Interpretation: And Other Essays". Farrar, Strauss & Giroux.